An imam’s efforts to raise numerous plants inside a mosque in Turkey’s central Nevşehir province gained the praise of the congregation while attracting children to the mosque. The Taşlıbel Çiçekli Mosque in Esentepe neighborhood now houses more than 300 pots of flowers and fruit plants, including lemon and olive trees, thanks to the efforts Imam Ahmet Aydemir, who was first assigned to the mosque in 1992. “I started growing plants inside the mosque in 1995, and the congregation also liked it. Then I thought how I could attract local children to the mosque, so I entrusted each plant to one child and wrote their names on the pots. Our kids water and take care of the plants entrusted to them. 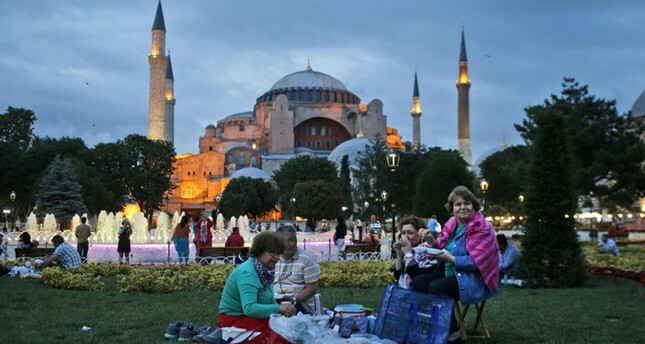 That’s how we help our children love flowers and the mosque,” Aydemir said.